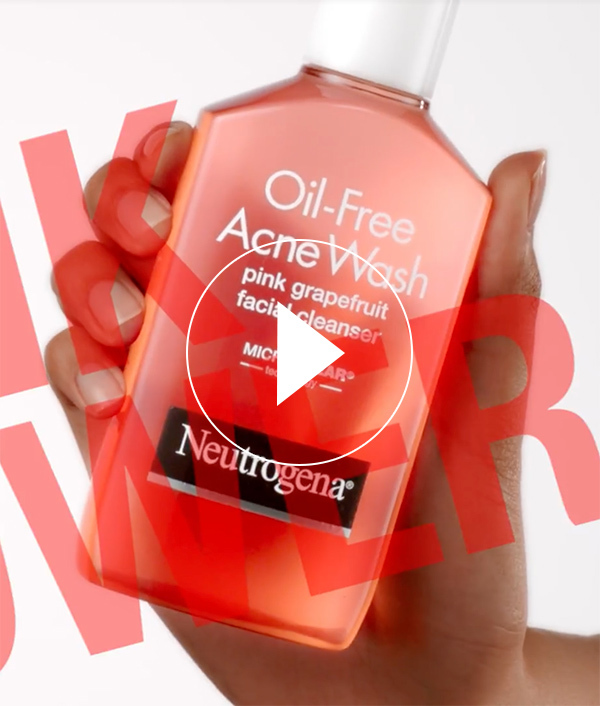 With naturally derived grapefruit, Vitamin C and Salicylic Acid, our oil-free face wash starts working instantly to clear breakouts and even the marks they leave behind. With maximum strength Salicylic Acid, this unique formula powerfully treats and helps prevent breakouts—even blackheads. It eliminates oil and dirt, as well as rinses clean without over-drying. See clearer skin in just 1 week. Water, Sodium C14-16 Olefin Sulfonate, Cocamidopropyl Betaine, Sodium Chloride, Peg-120 Methyl Glucose Dioleate, Polysorbate 20, Linoleamidopropyl Pg-dimonium Chloride Phosphate, Propylene Glycol, PEG-80 Sorbitan Laurate, Fragrance, Disodium Edta, Benzalkonium Chloride, C12-15 Alkyl Lactate, Polyquaternium-7, Sodium Benzotriazolyl Butyphenol Sulfonate, Cocamidopropyl Pg-dimonium Chloride Phosphate, Ascorbyl Palmitate, Aloe Barbadensis Leaf Extract, Anthemis Nobilis Flower Extract, Chamomilla Recutita (Matricaria) Flower Extract, Citrus Grandis (Grapefruit) Fruit Extract, Citric Acid, Sodium Hydroxide, Red 40, Violet 2. Directions: Wet face. Apply to hands, add water and work into a lather. Massage face gently. Rinse thoroughly. When you have an uplifting blast of pink grapefruit, Vitamin C and Salicylic Acid in your corner, you have the power to take on acne.